A balanced diet and good nutrition during pregnancy give your baby the best start possible. A diet that provides ample amounts of protein, carbohydrates, healthy types of fats, vitamins, and minerals. Coconut water is a natural drink in the purest form directly from the ‘Mother Nature’ and is loaded with natural vitamins and minerals that make this drink suitable in your pregnancy. An average green coconut provides you carbohydrate, fiber, protein, vitamin C, magnesium, manganese, potassium, sodium, and calcium in good amount. 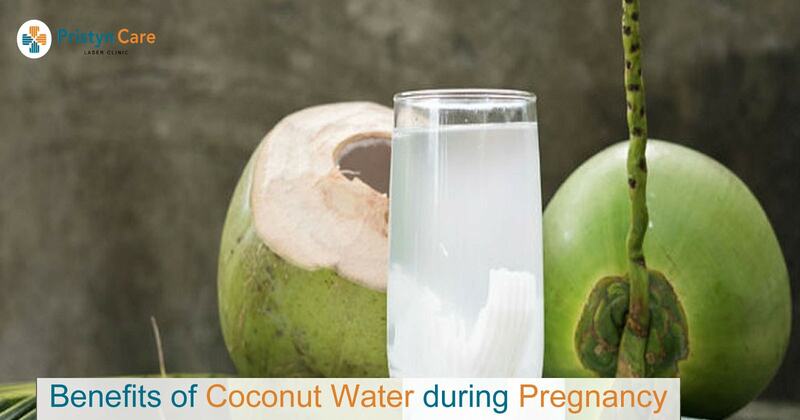 Prevents nausea: Drinking coconut water during early pregnancy helps to prevent nausea and dehydration. Reduces heartburn and indigestion: Drinking coconut water is an ideal treatment to reduce the acidity by neutralizing the acid formed in the stomach, thus, preventing indigestion and heartburn. Control blood pressure: Magnesium and Potassium present in coconut water play a key role in regulating blood pressure level. Helps in digestion: Coconut water is rich in dietary fibers and hence helps in digestion and reduces the chance of constipation, one more common problem during pregnancy. Increases energy: Drinking coconut water improves the energy levels by helping in metabolism and thyroid function. Reduces infections: Presence of antioxidants, essential minerals, and vitamins in coconut water helps in boosting up the immune system and preventing common infections. Supports healthy growth of Fetus: Coconut water with all its nutrients facilitates the healthy development and appropriate nutrition of the developing fetus.